But being able to wear a pretty pad really did make me feel better. It's like how wearing a pretty dress when you're down kind of cheers you up. So it did help in a way and I'm thankful for that. Not only are the pads pretty, they are also ultra thin (as the name suggests). Besides, the soft cotton surface does not irritate my skin at all. I dug through the goodie bag I had gotten from their WOW Launch Party for the $2 off discount coupons and off to Watsons I went. That's S$4.40 per pack after discount and isn't that really cheap? "pretty pad"! Haha! I lol at that. Cute name you gave it. 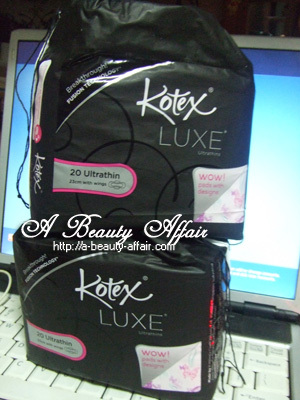 You did influence me that the pretty pads will maybe make grouchy periods feel better. Maybe I should try it the next time.